Boldly Goes Where No Other Speaker Has Gone Before!! This Action Speaker is the world's first and only INDESTRUCTIBLE SPEAKER. 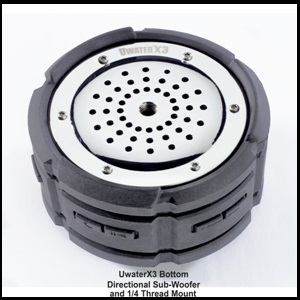 This UwaterX3i Action Speaker is small in size but giant in features. 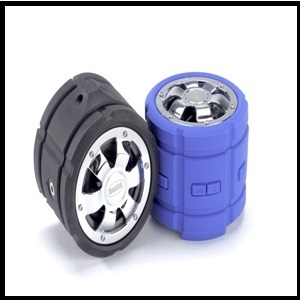 It generates Robust Audio over 85dB by using a unique 50mm Driver and a Directional Sub-Woofer both embedded in metal chamber.The X3 unique design comprises chrome-plated metal rims on top and bottom fortified by 7mm thick Grooved Silicon providing a virtually indestructible structure vs water, mud, snow, shock & impact. 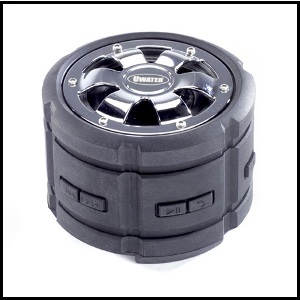 With its endless mounting capabilities, the UwaterX3i is by far he world's most versatile Action Speaker.In addition to unlimited outdoor mounting capabilities, this Action Speaker comes with a specially designed Spiral Chrome-Plated Metal Pedestal enhancing hi-fi audio flow and efficient distribution. The UwaterX3i Action Speaker combines unlimited mounting opportunities with rugged design and superb Bluetooth wireless features including hand free mic. The UwaterX3i audio is not only super robust, but also rich in quality including enhanced bass. Wear it, hook it, mount it, fix it, attach it or float it - the opportunities to enjoy this Action Speaker are endless!! 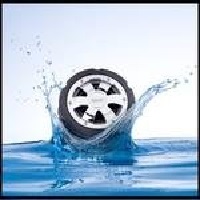 Moreover, it is engineered to be completely waterproof, sand-proof, snow-proof, mud-proof, shock & impact proof. 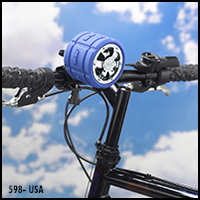 The UwaterX3i comes with multiple mounts (Bike, Carabiner, Pedestal, Floater) and additional mounts are optional (see below). Patents pending. Please check refund/warranty page for additional information. Buy this Action Speaker now at only $79.95 (33% off) and get our new P8 Mini Action Waterproofed Charger - a $15 value - absolutely FREE! Charge your Speaker or your phone on the go anywhere you go. Never again run out of battery charge. Just add the Action Speaker to Shopping Cart and this FREE BONUS Gift will be automatically added at no additional charge and no added S&H cost. Buy the Speaker now and we will also include three (3) unique mounts -a $21 additional value - absolutely FREE!! This little guy is fantastic. I cannot tell you how much more awake you can be when you awaken not just with a swimming but with one belting out your favorite tunes. It is super easy to pair up your bluetooth music player with the speaker and get going! The controls of this are on side so I don't even need my ipod nearby. It does it all and it does it well. Even with splashing water, the clarity is perfect and the sound crisp and clean. And it really pulled through on being waterproof as well! I dropped it in the pool accidentally and it didn't even miss a beat. UwaterX3 is small, affordable, and better than you’d ever expect. The design resembles a tire and provides a thick midrange and swift top end that’s only second to the speaker’s resounding grasp on percussion even in water or snow or sand. 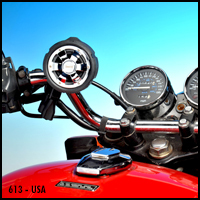 It comes with accessories that can fitted on to wall, bikes, motorcycles and even floats on water!!! Indestructible is a brave word that should only be used by the ignorant, arrogant or those who can really back it up. The folks at Fitness Technologies actually can back it up with their new UWater X3 Wireless Action Speaker. It looks like a model-sized monster truck tire and can withstand pretty much the same amount of damage. There are few things in life as exciting and terrifying as damage testing expensive equipment. I giggled out of fear and relief the whole way through. The UWater X3 Wireless Action Speaker comes from the same folks who brought us the underwater MP3 player I reviewed previously. The X3 is also waterproof up to 10ft deep. Some of you might be thinking, "I never go near the water, jellyfish ate my little brother, so it being waterproof means nothing to me." Well, beyond being waterproof, this audio land mine is also impact proof, sand proof, and snow proof. Whatever terrain you're in, you're covered. The X3's protection comes from the silicon shield and the chrome plated metal roof and bottom. Combined that makes breaking this like trying to reach in and grab Iron Man's tehcno-heart through his armor. You're likely to hurt yourself first.